Postcolonial feminism is a form of feminism that developed as a response to feminism seemingly focusing solely on the experiences of women in Western cultures. Postcolonial feminism seeks to account for the way that racism and the long-lasting political, economic, and cultural effects of colonialism affect non-white, non-Western women in the postcolonial world. Postcolonial feminism originated as a critique of feminist theorists in developed countries pointing out the universalizing tendencies of mainstream feminist ideas and argues that women living in non-Western countries are misrepresented. Postcolonial feminism is sometimes criticized from mainstream feminism arguing that postcolonial feminism weakens the wider feminist movement by dividing it. It is also often criticized for its Western bias which will be discussed further below. The history of modern feminist movements can be divided into three waves. When First-wave feminism originated in the late nineteenth century, it arose as a movement among white, middle-class women in the global North who were reasonably able to access both resources and education. Thus, the first wave of feminism almost exclusively addressed the issues of these women who were relatively well off. The first-wavers focused on absolute rights such as suffrage and overturning other barriers to legal gender equality. This population did not include the realities of women of color who felt the force of racial oppression or economically disadvantaged women who were forced out of the home and into blue-collar jobs. Second-wave feminism inspired women to look at the sexist power struggles that existed within their personal lives and broadened the conversation to include issues within the workplace, issues of sexuality, family, and reproductive rights. Feminist theory during the first century of feminism failed to account for differences between women in terms of race and class—it only addressed the needs and issues of white, Western women who started the movement. Within the last twenty years, postcolonial feminism emerged as part of the third wave of feminism in tandem with many other racially based feminist movements in order to reflect the diverse nature of each woman's lived experience. In efforts to move away from ‘grand narratives’ stemmed from ‘globalization’, postcolonial theory was formed as a scholarly critique of colonial literature. By acknowledging the differences among diverse groups of women, postcolonial feminism addresses what some call the oversimplification of Western feminism as solely a resistance against sexist oppression. Postcolonial feminism, in contrast, also relates gender issues to other spheres of influence within society. Postcolonial feminism began simply as a critique of both Western feminism and postcolonial theory, but later became a burgeoning method of analysis to address key issues within both fields. Unlike mainstream postcolonial theory, which focuses on the lingering impacts that colonialism has had on the current economic and political institutions of countries, postcolonial feminist theorists are interested in analyzing why postcolonial theory fails to address issues of gender. Postcolonial feminism also seeks to illuminate the tendency of Western feminist thought to apply its claims to women around the world because the scope of feminist theory is limited. In this way, postcolonial feminism attempts to account for perceived weaknesses within both postcolonial theory and within Western feminism. The concept of colonization occupies many different spaces within postcolonial feminist theory; it can refer to the literal act of acquiring lands or to forms of social, political, and economic enslavement in a society. Chandra Talpade Mohanty, a principal theorist within the movement, addresses this issue in her seminal essay "Under Western Eyes." In this essay, Mohanty asserts that Western feminists write about Third World women as a composite, singular construction that is arbitrary and limiting. She states that these women are depicted in writings as victims of masculine control and of traditional culture without incorporating information about historical context and cultural differences with the Third World. This creates a dynamic where Western feminism functions as the norm against which the situation in the developing world is evaluated. Mohanty's primary initiative is to allow Third World women to have agency and voice within the feminist realm. In the article "Third World Women and the Inadequacies of Western Feminism," Ethel Crowley, sociology professor at Trinity College of Dublin, writes about how western feminism is lacking when applied to non-western societies. She accuses western feminists of theoretical reductionism when it comes to Third World women. Her major problem with western feminism is that it spends too much time in ideological "nit-picking" instead of formulating strategies to redress the highlighted problems. The most prominent point that Crowley makes in her article is that ethnography can be essential to problem solving, and that freedom does not mean the same thing to all the women of the world. Postcolonial feminism began as a criticism of the failure of Western feminism to cope with the complexity of postcolonial feminist issues as represented in Third World feminist movements. Postcolonial feminists seek to incorporate the struggle of women in the global South into the wider feminist movement. Western feminists and feminists outside of the West also often differ in terms of race and religion, which is not acknowledged in Western feminism and can cause other differences. Postcolonialism can provide an outlet for citizens to discuss various experiences from the colonial period. These can include: "migration, slavery, oppression, resistance, representation, difference, race, gender, place and responses to the influential discourses of imperial Europe." Ania Loomba critiques the terminology of ‘postcolonial’ by arguing the fact that ‘post’ implicitly implies the aftermath of colonization; she poses the question, “when exactly then, does the ‘postcolonial’ begin?” Postcolonial feminists see the parallels between recently decolonized nations and the state of women within patriarchy taking "perspective of a socially marginalized subgroup in their relationship to the dominant culture." In this way feminism and postcolonialism can be seen as having a similar goal in giving a voice to those that were voiceless in the traditional dominant social order. While this holds significant value aiding new theory and debate to arise, there is no single story of global histories and Western imperialism is still significant. Loomba suggests that colonialism carries both an inside and outside force in the evolution of a country concluding ‘postcolonial’ to be loaded with contradictions. “False consciousness” is perpetuated throughout mainstream feminism assuming that people in the global South don’t know what is best for them. Postcolonial framework attempts to shed light on these women as “full moral agents” who willingly uphold their cultural practices as a resistance to Western imperialism. For example, representation of the Middle East and Islam focuses on the traditional practice of veiling as a way of oppressing women. While Westerners may view the practice in this way, many women of the Middle East disagree and cannot understand how Western standards of oversexualized dress offer women liberation. In the U.S., where Western culture flourishes most, it has a majority Caucasian population of 77.4% as of the 2014 U.S. census. They have also been the majority of the population since the 16th century. The Caucasians have had their role in the colonialism of the country since their ancestors settlement of Plymouth Colony in 1620. Although they ruled majority of the U.S. since their settlement, it was only the men who did the colonizing of it. The woman were not allowed to have the freedoms and rights that men had at the time. It was not until the victory of World War I that the Roaring Twenties emerged and gave woman a chance for independence. It is also the reason that first-wave feminist were able to protest. Their first major accomplishment was the ratification of the Nineteenth Amendment. Some of the women that led the first-wave feminist movement were Susan B. Anthony and Elizabeth Cady Stanton. Susan, Elizabeth, and many other feminist fought for the equality of rights for both woman and African Americans; however, their accomplishments only benefited the white middle-class woman. Even through second and third-wave feminism the majority of equality achieved from feminism and other movements still benefit most of the white population. The lack of acknowledgement and acceptance of white privilege is a main contributor to the inequality of rights in the U.S. In the book Privilege Revealed: How Invisible Preference Undermines, Stephanie M. Wildman states, "The notion of privilege . . . has not been recognized in legal language and doctrine. This failure to acknowledge privilege, to make it visible in legal doctrine, creates a serious gap in legal reasoning, rendering law unable to address issues of systemic unfairness." 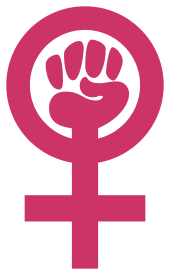 White privilege, oppression, and exploitation in the U.S. and Western influenced countries are main contributors to the formation of other feminist movements such as black feminism, Islamic feminism, and many other movements. Depending on feminist literature, Third World and postcolonial feminism can often be used interchangeably. In a review upon other scholars work of the two terms, Nancy A. Naples highlights the differences; “Third World” nations, termed as such by North America and Europe, were characterized as underdeveloped and poor resulting in a dependency of “First World” nations for survival. This term started being widely used in the 1980’s but shortly after began to receive criticism from postcolonial scholarship. Naples defines the term ‘postcolonial’ as, “...typically applied to nations like India where a former colonial power has been removed.” Both terms can be argued as problematic due to the reinforced idea of “othering” those from non-Western culture. Furthermore, while simultaneously fighting against patriarchy and the aftermaths of colonialism, postcolonial feminists have to campaign for their right to exist alongside Western feminists and to be acknowledged not only for their gender but also for their specific ethnic, cultural and historic background, which is significantly different from that of Western feminists. 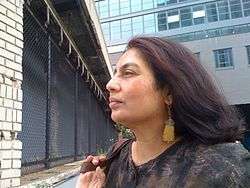 Writers that are usually identified with the topic of double colonization and critique on Western feminism are for example Hazel V. Carby and Chandra Talpade Mohanty.“White Woman Listen!”, an essay composed by Carby, harshly critiques Western feminists who she accuses of being prejudiced and oppressors of black women rather than supporters. In this context she also talks about “triple” oppression: “The fact that black women are subject to the simultaneous oppression of patriarchy, class and “race” is the prime reason for not employing parallels that render their position and experience not only marginal but also invisible”. Mohanty's argument in “Under Western Eyes: Feminist Scholarship and Colonial Discourses” goes into the same direction. She blames Western feminists of presenting colored women as one entity and failing to account for diverse experiences. Another critique of postcolonial feminism is much the same as the critiques that postcolonial feminism has for Western feminism. Like Western feminism, postcolonial feminism and Third World feminism are also in danger of being ethnocentric, limited by only addressing what is going on in their own culture at the expense of other parts of the world. Colonialism also embodies many different meanings for people and has occurred all across the world with different timelines. Chatterjee supports the argument that postcolonial perspective repels “Holistic perspectives of the grand narrative of enlightenment, industrial revolution, and rationality render ‘other’ histories and people invisible under hegemonic constructions of truth and normalcy.” Generalizing colonialism can be extremely problematic as it translates into postcolonial feminism due to the contextual ‘when, what, where, which, whose, and how’ Suki Ali mentions in determining the postcolonial. While postcolonial discourse has brought significant expansion of knowledge regarding feminist work, scholars have begun to rework and critique the field of postcolonial feminism developing a more well rounded discourse termed transnational feminism. Where postcolonialism highlighted representation and the “othering” of experience of those in the global South, transnational feminism aids in understanding “new global realities resulting from migrations and the creation of transnational communities." 1 2 3 Chatterjee, Sushmita (2016-02-01). "What Does It Mean to Be a Postcolonial Feminist? The Artwork of Mithu Sen". Hypatia. 31 (1): 22–40. doi:10.1111/hypa.12225. ISSN 1527-2001. 1 2 3 Ali, Suki (2007-03-01). "Feminism and Postcolonial: Knowledge/Politics". Ethnic and Racial Studies. 30 (2): 191–212. doi:10.1080/01419870601143877. ISSN 0141-9870. ↑ "Meeting at the edge of fear: theory on a world scale.". Feminist Theory. 16(1). ↑ "Postcolonial feminisms.". Feminist Theory. 6(1). 1 2 Loomba (1998). Colonialism/postcolonialism: Situating colonial and postcolonial studies. London: Routledge. 1 2 "Reclaiming third world feminism: or why transnational feminism needs third world feminism.". Meridians: Feminism, Race, Transnationalism. 12(1). ↑ Cawley, Stephanie. "Veils and postcolonial feminism". ↑ "Population estimates, July 1, 2015, (V2015)". www.census.gov. Retrieved 2016-03-17. ↑ Reinsch, Ole. "Gender Forum: Flapper Girls: Feminism and Consumer Society in the 1920s". www.genderforum.org. Retrieved 2016-04-21. ↑ Law, Sylvia (1999). "White Privilege and Affirmative Action" (PDF). University of Akron. University of Akron. Retrieved March 15, 2016. 1 2 Mohanty, Chandra Talpade (2003-01-01). ""Under Western Eyes" Revisited: Feminist Solidarity through Anticapitalist Struggles". Signs: Journal of Women in Culture and Society. 28 (2): 499–535. doi:10.1086/342914. ISSN 0097-9740. ↑ Naples (2002). Changing the terms: Community activism, globalization, and the dilemmas of transnational feminist praxis. London: Routledge. ↑ Post-Colonial Studies The Key Concepts. Routledge. 2000. pp. 66–67. ISBN 0-203-93347-8. 1 2 Holst Petersen, Kirsten; Rutherford, Anna, eds. (1986). A Double Colonization Colonial and Post-Colonial Women's Writing. Dangaroo Press. ↑ Tyagi, Ritu. "Understanding Postcolonial Feminism in relation with Postcolonial and Feminist Theories". International Journal of Language and Linguistics. 1. ↑ Carby, Hazel V. Mirza, Heidi Safia, ed. Black British Feminism. London and New York: Routledge. p. 46. ↑ "The future of gender and development after 9/11: insights from postcolonial feminism and transnationalism.". Third World Quarterly. 30(5). Weedon, Chris (2002). "Key Issues in Postcolonial Feminism: A Western Perspective". genderealisations. gender forum. 1.